Porridge is the new food-trend on the block and has become the ultimate base for creating imaginative, healthy recipes which are packed full of flavour and topped with an abundance of superfoods. In Porridge, Anni Kravi has created over 50 recipes which take inspiration from around the world. Her recipes use oats, quinoa, amaranth, raw buckwheat, bulgur wheat, rice and spelt. Porridge features sweet, savoury, raw, soaked and cooked recipes such as Carrot cake overnight oats, Quinoa, beetroot + ginger, Oats, kale tofu + sweet potato smash and Spiced apple with PB + J. Her book also contains over 20 inventive toppings with recipes ranging from Raspberry banana `ice cream', `Carrot' bacon to Tahini + liqourice bliss balls. 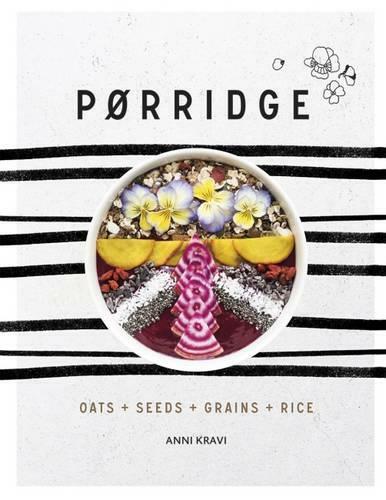 In this book, Anni Kravi re-writes the porridge rule book creating sugar-free, dairy-free and vegan `superbowl' food that will transform the way you eat.